Instead of using timezone from your EasyCron account for all cron jobs, from now on you may specify different timezone for each cron job. 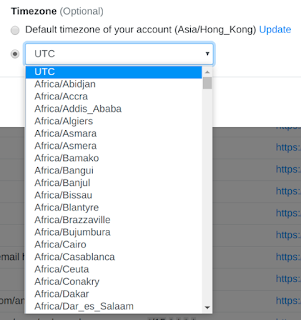 In our API, associated methods (Add and Edit) also got two additional parameters (timezone_from, timezone) that implement this new feature. Allowing specifying cron job timezone individually greatly improves the usability of our service in many use scenarios. Hope that you'll like it. 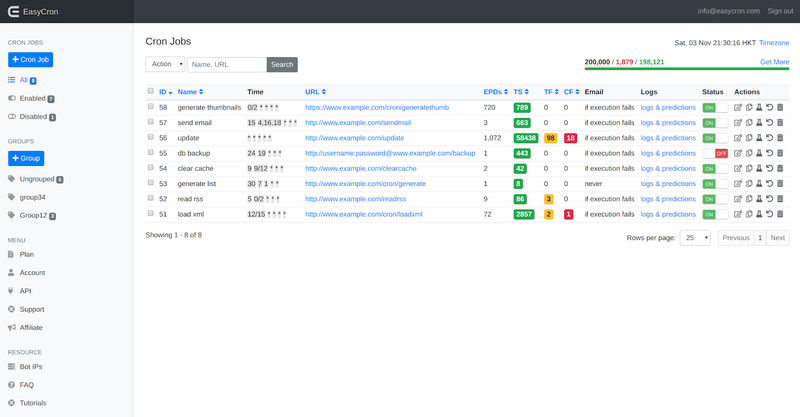 We're proud to say that recently we launched an entire new UI with functionality updates. The front end of our site is now neat and could be loaded faster. The back end also got a complete rebuild. Users can now easily click into category of "enabled", "disabled" cron jobs, or a particular group of cron jobs easily from the home page's left sidebar. 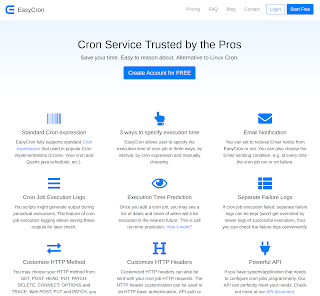 In the cron job list page of any category or group, you may navigate cron jobs by page, search/reorder cron jobs. 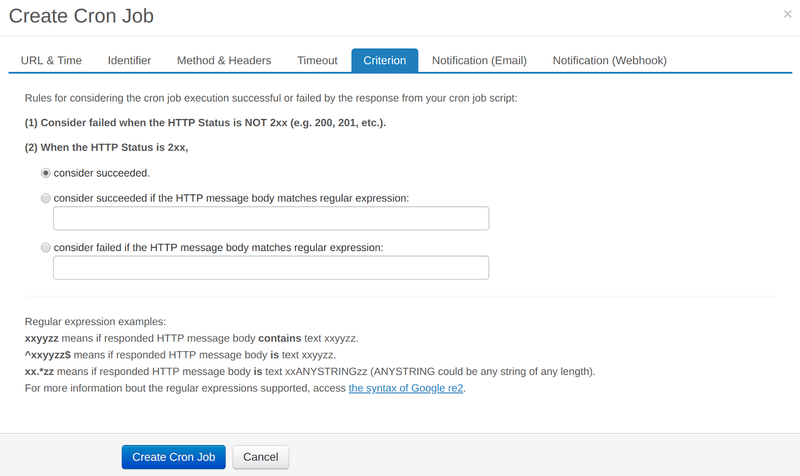 These new functionality and flexibility will greatly help you find and configure your cron jobs. Our whole site (including front end and back end) is mobile friendly now. We introduced all necessary responsibility technologies to make the site look and work perfectly in mobile devices (from small screen cellphone to medium screen Xpad and large screen desktop). In some cases, you may want to determine the success (or failure) of cron job execution by the content of the output responded from your cron job script (not only by the HTTP code). With the new feature we introduced today, you can now use regexp to match the output (HTTP message body), and then judge if the cron job execution is successful. Consider failed when the HTTP Status is NOT 2xx (e.g. 200, 201, etc.). When the HTTP Status is 2xx, check above 3 options. Hope that the new feature rocks for you. We recently made some changes to the way we trim and save execution logs. 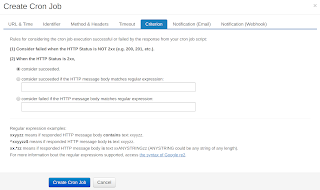 In the past, in additional to cron job ID, scheduled time to execute, trigger time, done time, cost time and HTTP status, up to 10 KB of output (includes HTTP headers and HTTP message body) responded from your cron job script will be saved for each execution. 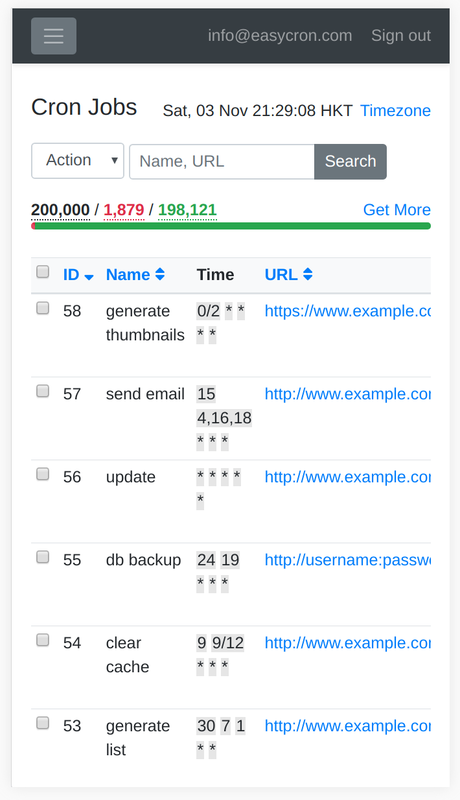 up to 20 KB (5 KB for individual plans) of tail of the HTTP message body. 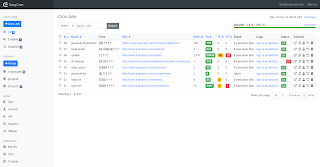 We hope that the new logs will provide more information you need and help you better understand the overall response from your cron job scripts. 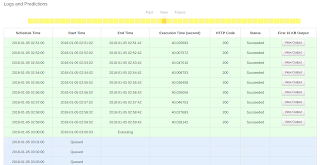 Want to know if your cron job has been triggered or not before it's done and its log is saved? 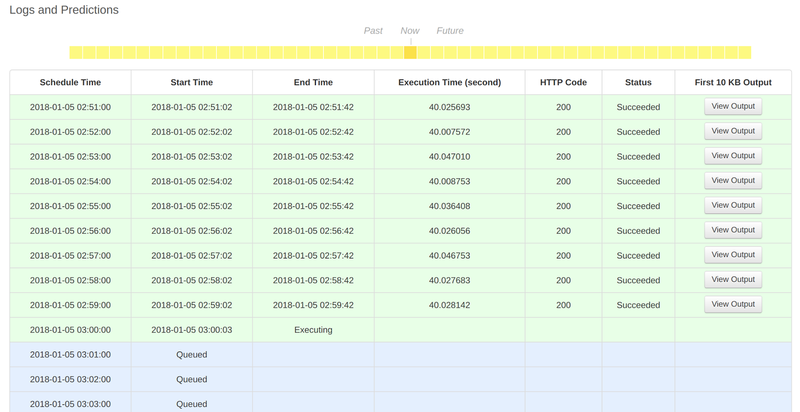 Now you're able to do it with our new feature "cron job execution tracking". This is extremely useful for your awareness of that the cron job has been successfully fired. 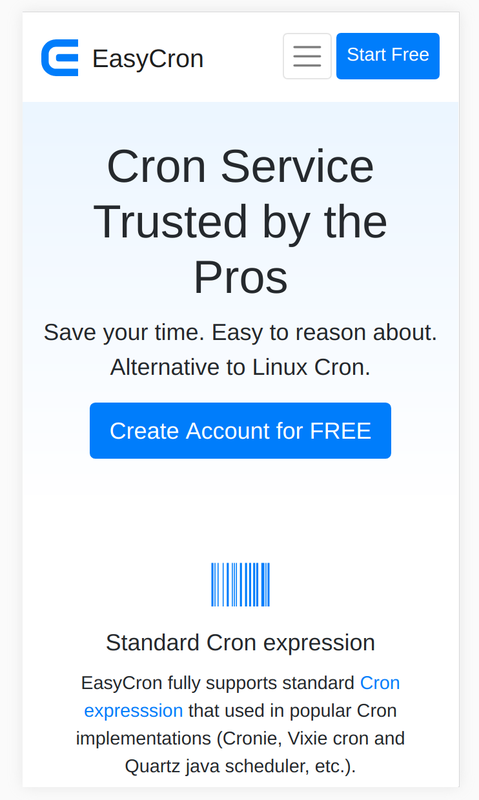 So that you don't need to worry about you miss the cron job trigger time. This hardware replacement will affect one of our core servers which is relied by our other servers to perform EasyCron's service. As a result, during the intervention, our service will be interrupted. And the service will recover automatically once the maintenance is finished and the server is booted again. There is nothing we can do now to 100% avoid this service interrupt. But we're working on a solution to have our HA (high availability) strategy cover this server, so that in the future if similar maintenance happen again, our service will not be affected. 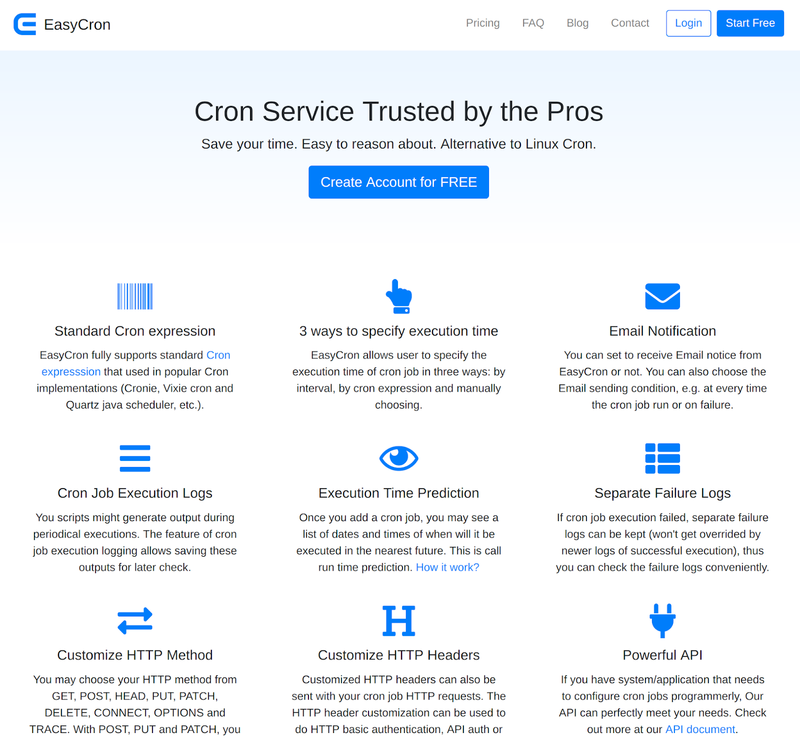 As a remedy, EasyCron will fire those cron jobs that have missed executions during the maintenance for *one* time after the service back to normal. That means, your affected cron jobs will get triggered for one time after our server is up again. We're really sorry for the inconvenience that will be caused by this server maintenance. June 14th, 7:20 AM EDT.